Concluding our blog series Hit-and-Run Accidents: 6 Important Facts to Know, below, we will wrap up this discussion by pointing out a few more crucial pieces of info that you may need to know if you are ever hurt in a hit-and-run. 5 – Even when the perpetrators of hit-and-runs can’t be tracked down, victims may still be entitled to compensation. The MOST important fact to remember is that, after hit-and-runs, you can turn to our Colorado Springs hit-and-run attorney for help with your financial recovery. This fact about hit-and-runs is good news for accident victims, as their chances for financial recovery after these traffic accidents are not over if the negligent driver is never identified and/or located. In fact, people injured in hit-and-run accidents should be aware that their uninsured or underinsured motorist coverage (if they have it as part of their auto insurance coverage) can cover them after hit-and-runs, providing them with crucial compensation to pay for medical bills, car repair bills and other losses. 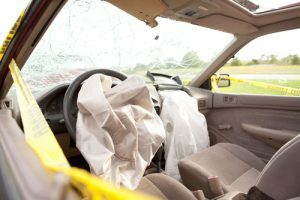 The experienced Colorado Springs hit-and-run attorney at Shakeshaft and Gorman Law Firm will work diligently to try to help victims identify and locate the drivers responsible for hit-and-runs in an effort to try to maximize victims’ financial recovery. Working with insurance companies can be far more challenging than people realize, as insurers are generally NOT on accident victims’ sides and may go to great lengths to limit or deny payouts to them. 6 – After hit-and-runs, people can turn to Shakeshaft and Gorman Law Firm for experienced and effective legal help. Obtaining the full amount of compensation to which you may be entitled after hit-and-runs. Colorado Springs Hit-and-Run Attorney at Shakeshaft and Gorman Law Firm, P.C. Have you or a loved one been hurt in a hit-and-run or in any type of traffic accident? If so, Colorado Springs Hit-and-Run Attorney Kenneth Shakeshaft is ready to advocate your rights, help you recover financially and ultimately help you put your life back together. Since 1982, Kenneth Shakeshaft has been providing people injured in traffic accidents with superior legal service, helping them stand up to insurance companies, large corporations and/or government entities. The bottom line is that, after a car accident injury, we will be here for you and will work tirelessly to help you secure the maximum possible compensation for your losses and injuries. Let’s meet to talk about your case and your rights. You can schedule a free initial consultation with us by calling (719) 635-5886 or (800) 383-5886. You can also email us using the contact form on this page. We don’t get paid unless or until you get paid, so you have nothing to lose and everything to gain by contacting us today. From our offices in Colorado Springs, we serve people throughout Colorado, including people in the Denver metro area, El Paso County, the Pike’s Peak Region, Colorado Springs, Pueblo, Castle Rock, Fort Collins, Highlands Ranch, Littleton, and Grand Junction. Copyright © 2019 Shakeshaft-Gorman Law Firm, LLP All Rights Reserved.